At 11:16 hours today Shrewsbury Volunteers were dispatched to assist North Hopewell-Winterstown Fire Company and other units with a reported aircraft accident. Engine 61-1 responded on the assignment. 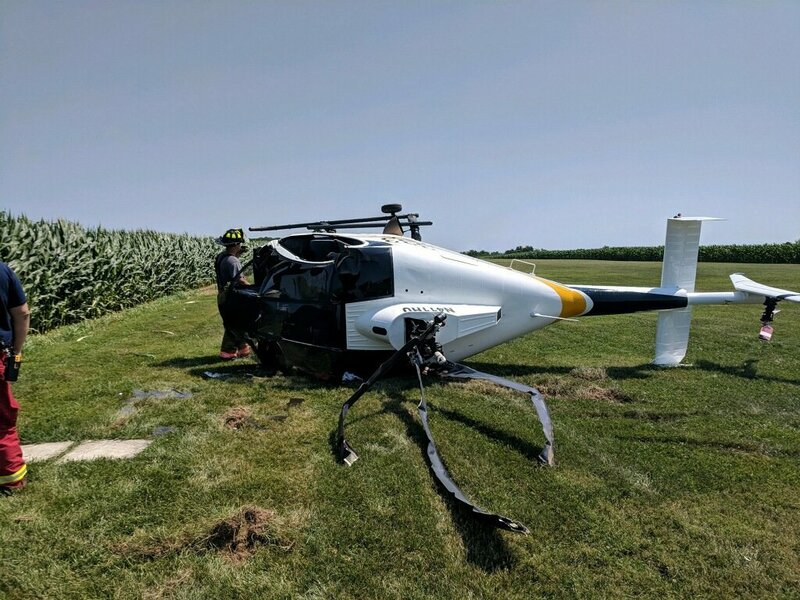 Enroute dispatch reported the accident involves a helicpoter that has crashed. Additional information was received stating no fire. Deputy 45 advised to hold the assignment to Stations 45, 61 and EMS. Engine 61-1 arrived and advanced an attack line to the crash site. Command was passed to Deputy 45 on their arrival. 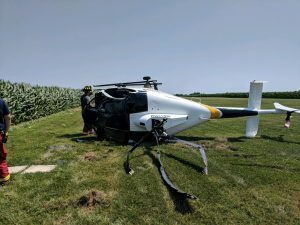 After investigating it was discovered a single privately owned helicpoter while landing experienced an issue, impacted the ground, and flipped onto it’s side. There is no fuel leak and no fire. All occupants were out of the aircraft on fire department arrival. Engine 61-1, once the scene was declared safe was cleared and Station 45 handled the incident.